View of Inlet Beach, Whitsundays, Australia. This place let me speechless. This entry was posted in Australia, Oceania, Turquoise Travel and tagged Australia, Beach, Inlet Beach, ocean, Travel, travel photography, Turquoise, Turquoise Compass, Whitsunday Islands, Whitsundays by Turquoise Compass. Bookmark the permalink. Thanks so much! It’s an amazing place! I. K.N.O.W. This is one of those places. The pictures tell it all. I knew you would love this one. I know right? 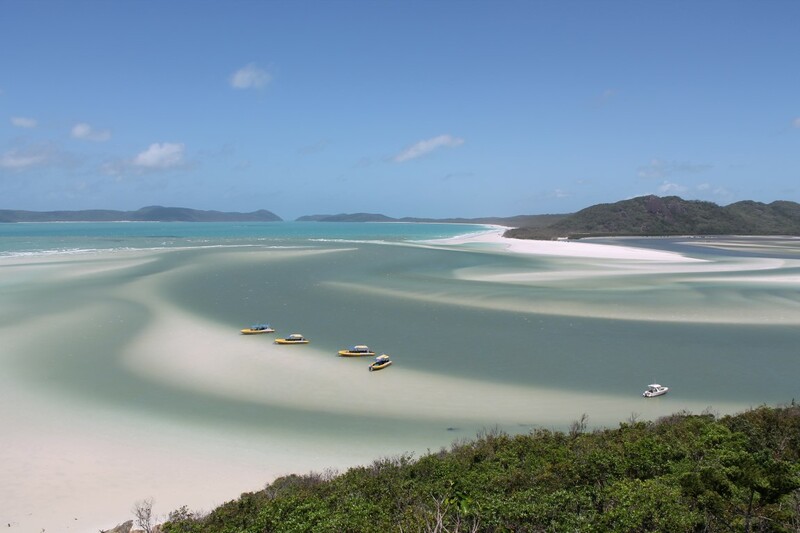 Have you been to the Whitsunday Islands? AMAZING! Everything I hoped for. You better get over there you two! I know right? This picture doesn’t even describe how beautiful the place truly is. I bet you’ve seen places like that in Thailand. Yup. The Whitsunday Islands is one of those places that looks just like the postcards you see of it. Never disappointing. Great pics! You are right. Postcard perfect and never disappointing. I was so happy I was able to make it there. I know, it’s not like anything I’ve seen before. I know, doesn’t it! It is literally heaven on earth. It’s such an amazing place. Oh my gosh, what a beautiful picture and place. You take great photos, I’m impressed. I know, it is an amazing place. With a great back drop I am able to capture great images. I have little photography training. With a view like that it makes it easy! Thanks for the compliment. I know, I was too. It was a place I waited to see and the wait was worth it. It truly was a dream come true to visit that beach! Such a beautiful white beach. Lucky girl. I’m putting this on Twitter!